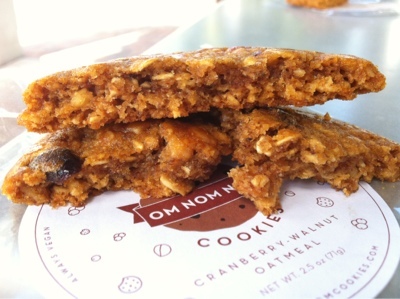 This week’s spotlight is on Om Nom Nom vegan cookie company. This local start-up company is the brain child of Anthea Ponsetti and has been in existence for a little over a year. The name may sound familiar because this cookie has been making its way around the block. 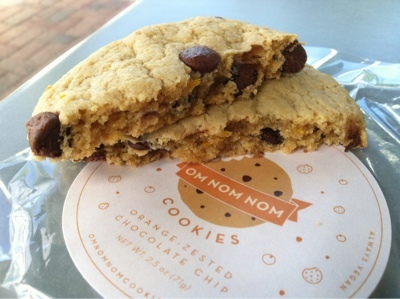 Om Nom Nom cookies are currently being sold at several places through out south Florida, including Panther Coffee. They’re also being sold in Denver and in due time they’ll be available in California and throughout the east coast. This is definitely a start-up company on the rise, but how did it all start? Well Anthea was kind enough to meet with me and give me the chisme.